Nicole Lambrou received a Masters of Architecture from Yale University in the spring of 2006. In her final year at Yale she was selected as a Teaching Fellow for two graduate courses in the School of Architecture, Visual Representation and Independent Drawing Projects. 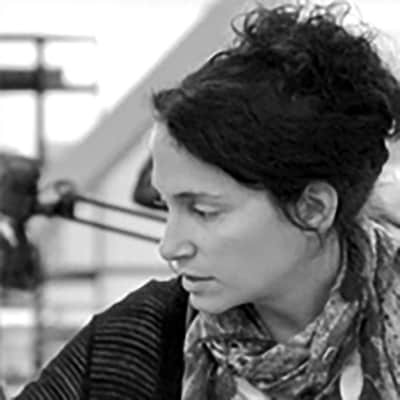 Nicole is also the recipient of the Yale School of Architecture Drawing Prize, and architectural drawing continues to be an integral part of her design process. During her work in Germany with Behnisch Architekten, Nicole had the opportunity to become immersed in design that is integrated with sustainable concepts while working on Harvard University’s campus expansion. At the time she was also involved with generating graphics for a rotating exhibition, in collaboration with Transsolar, representing human impact on the planet and throughout history. Since moving to San Francisco in August of 2007 and before founding her own practice, Nicole worked for several years at an architecture firm whose scope of work involved public housing in the city of San Francisco and public schools throughout the state of California. Through a collaborative partnership with AE Design she also completed several houses at Sea Ranch, CA. Most recently Nicole launched a green roof system that was included in the CitiesAlive Conference in San Francisco. Nicole also participated in the AIAS conference in the Fall of 2012. She was awarded second place for the design of a public library in Gevgelija, Macedonia in an international competition sponsored by the United Nations Development Program, and has received accolades for various other architectural submissions throughout her design career. Nicole is a registered architect in the state of New York.